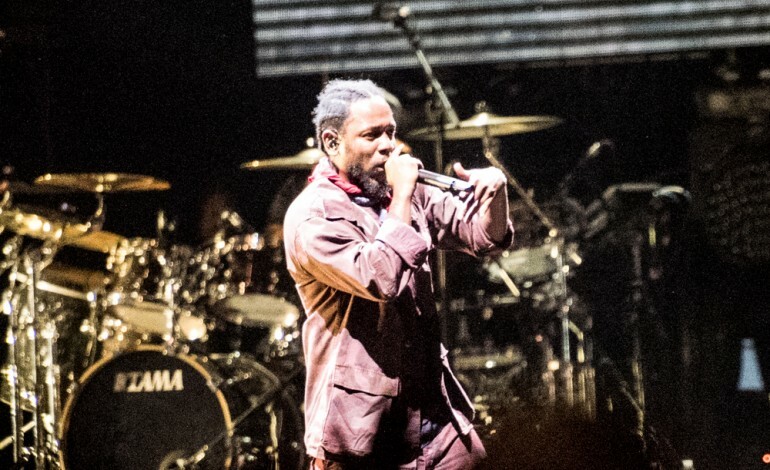 Just weeks before Made in America was scheduled to begin here in Philadelphia, the team behind the festival announced a surprise headlining act. And it was a big one: Kendrick Lamar. With an instant credibility boost, Made in America Day Two was sure to be a promising evening of good music and good fun. The festival hit its stride about midway through the afternoon, as G.O.O.D Music President and hip-hop veteran, Pusha T arrived on the main stage. His set was heavy on Daytona tracks; he even referred to it at points as the “Daytona Experience.” But considering Daytona has largely been lauded as one of the best hip-hop albums of the year, this was hardly an issue. He also brought out classic G.O.O.D Music tracks like “Runaway,” “New God Flow” and his eternal classic/Clipse track “Grindin’.” Pusha would hit his stride with his Kendrick Lamar assisted song “Nosetalgia,” but he seemed in great spirits throughout his entire set. Pusha is definitely having a great year, and it shows in the way he carries himself in his performances as of late. Over on the Freedom stage, Made in America attendees were treated to a great roster of EDM talent, with back to back sets from Lophiile, Lost Kings, Anna Lunoe, Jai Wolf and Cashmere Cat. In a somewhat surprising turn of events—even to the artist herself—it was Alessia Cara who would have the biggest reaction from fans when she performed her Moana song “How Far I’ll Go.” The Oscar-nominated track has received over 185 million views on YouTube. But there was no time for rest, as Diplo was up next over on the Liberty Stage providing the energy with a mix of his hits and remixes of other popular tracks. Sporting an Eagles cap, the LA-based DJ made sure to shout out the city that made him, referencing his early success here in Philly almost 10 years ago. Much to the appreciation of his fans, Diplo’s set was extended by nearly a half hour as Nicki Minaj was late to begin. When she finally took the stage, the crowd was growing anxious. But the Queen immediately put her loyal “Barbz” at ease as she kicked off her hour-long set with her new song off of Queen, “Majesty.” The song choice felt apropos, paired with her lavish set design. An early wardrobe malfunction would attract most of the attention, as Minaj failed to notice her unfortunate nip slip. But, in typical Nick Minaj form, the Queens native took it in stride and later joked about the incident.